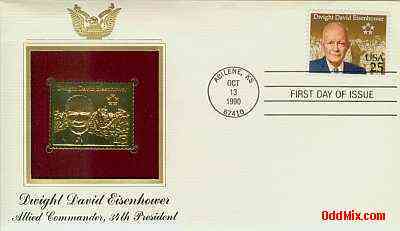 This 1990 Dweight David Eisenhower Allied Commander, 34th President - First Day Cover is a special 22 karat Gold Replicas of United States Stamps memorabilia. It is suitable for framing and it is a must for serious collections. special commemorative stamped envelope available!